Humans may have the most complex breast milk of all mammals. Milk from a human mother contains more than 200 different sugar molecules, way above the average 30-50 found in, for example, mouse or cow milk. The role of each of these sugars and why their composition changes during breastfeeding is still a scientific puzzle, but it's likely connected to the infant immune system and developing gut microbiome. Breast milk is often an infant's first meal, but many of the sugar molecules in the milk are not meant to feed the baby. Infants are born sterile of any bacteria in their guts, but within a few days they have millions, and after a week there are billions. The sugars that come from mother's milk are usually the first compounds that these bacteria have to chew on, a free lunch that is intended to culture specific bacterial species. "The first impact breast milk has is favoring the colonization of the gut by specific bacterial groups that can digest these sugar molecules," says Review co-author Thierry Hennet, from the Institute of Physiology at the University of Zurich. 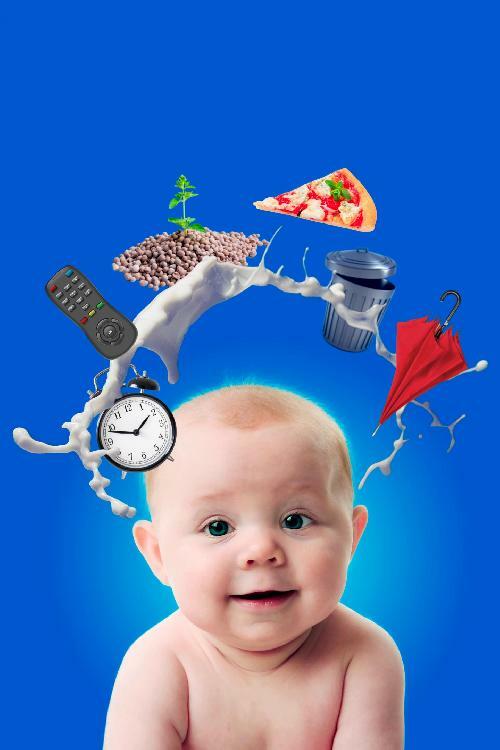 "Infants don't have the machinery to digest these sugars so they are literally for the bacteria--it's like a seeding ground, and breast milk is the fertilizer." Human breast milk also helps lay the foundation for the new baby's immune system. After birth, milk is rich in antibodies and molecules that slow the growth of harmful bacteria and coordinate white blood cell activity. After one month, when the infant begins developing an adaptive immune system of his or her own, the composition of breast milk transitions so that levels of maternal antibodies drop by more than 90 percent. There is also a sharp decrease in the diversity of breast milk sugars, indicating less selection for bacterial species. Instead, mature human breast milk has an increased number of fat and other nutrients that support infant growth. Despite the many functions of breast milk, children can grow up healthy with limited supplies or without ever being exposed, raising controversial questions about what is normal when it comes to breastfeeding. Breast milk clearly reduces infant mortality and significantly decreases a newborn's risk for gut and airway infections, but there's little support for longer-term benefits. "We have to be careful about giving any recommendations," says Hennet, who co-wrote the Review with Lubor Borsig, also a physiologist at the University of Zurich. "On the one hand, breast milk is the product of millions of years of evolution and certainly possesses the optimal nutrients for a newborn, but the question is how long does the newborn really need this supply? We feel families should make that decision, and not scientists." What researchers can do is continue to work on understanding the role of all of the different molecules in breast milk, something that has become much easier with advances in gene sequencing technologies. The next few years are likely to yield new understanding of the hormones within human breast milk and the exact role of the bacterial populations that it cultures in the infant gut. Published in Trends in Biochemical Sciences.